Issue 17 is out now! 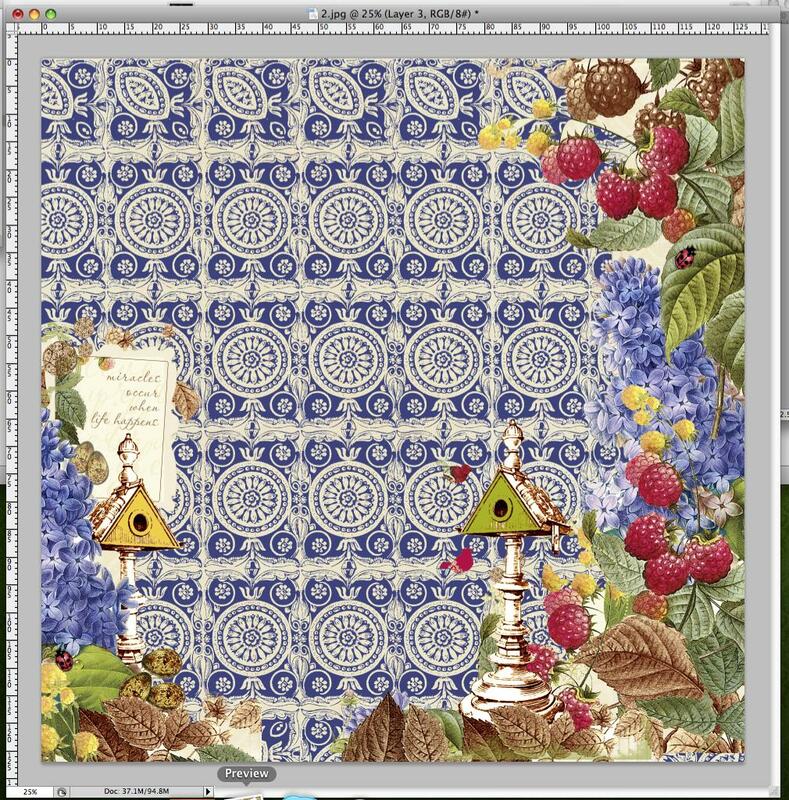 This issue is full of great ideas and tutorials as always – enjoy! Issue 16 is out now! 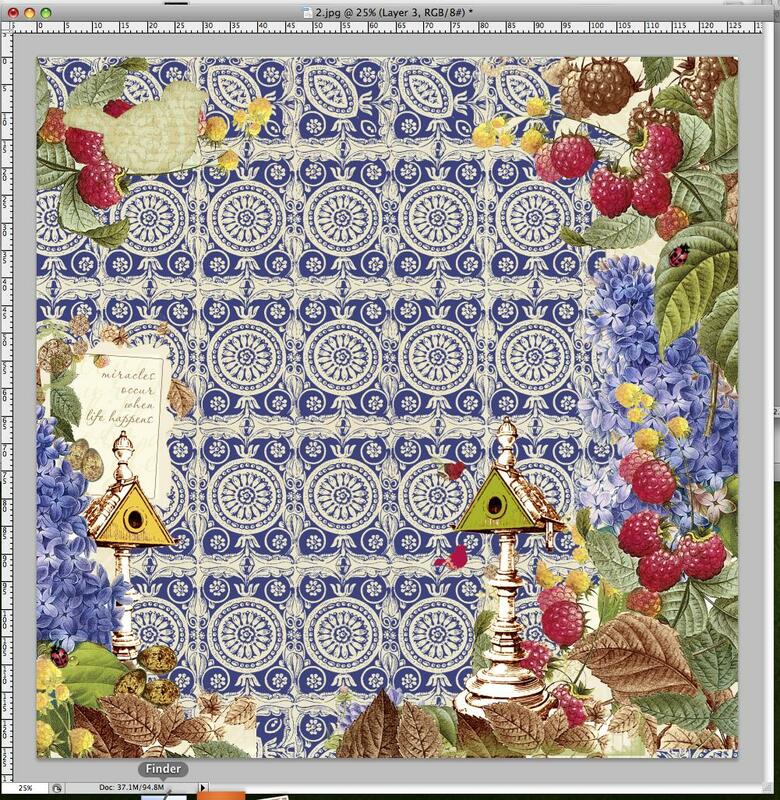 It is our first issue featuring our 2013 design team and we think its a fantastic one! To read it click on the image below, and enjoy!! 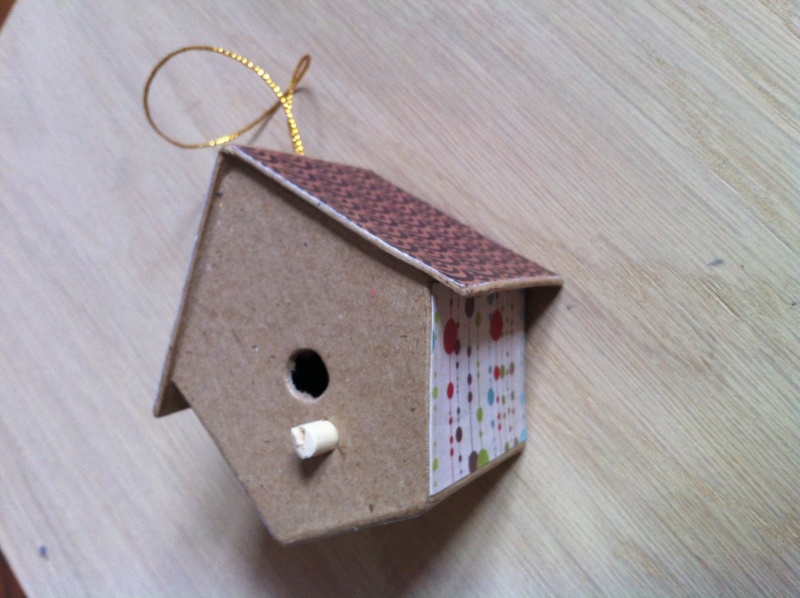 Today Aideen is going to show us a little technique on altering a birdhouse. “Have you heard of people altering items and wondered what it was all about? 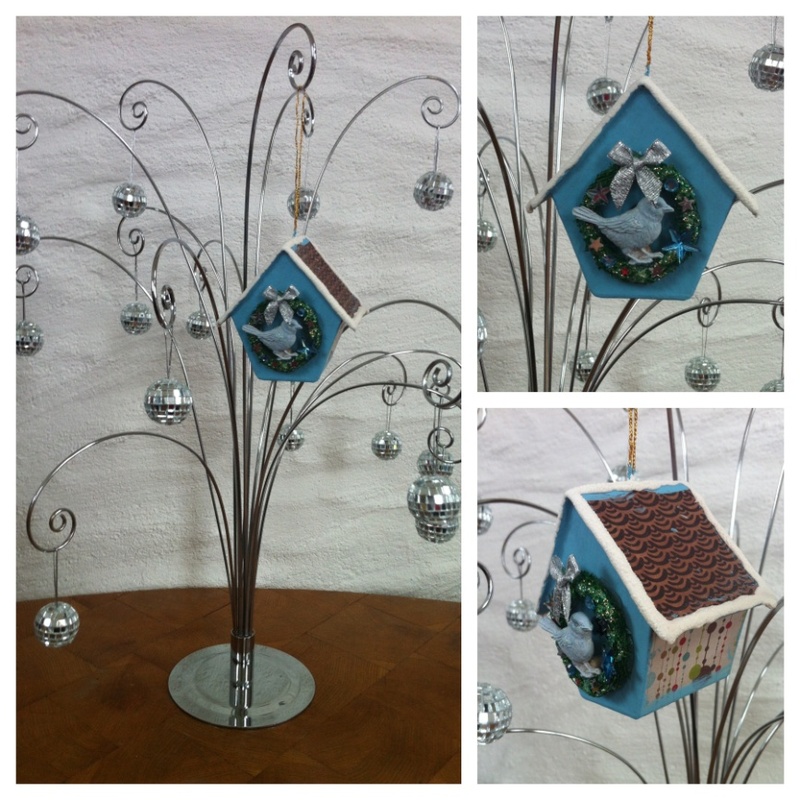 Or have you seen altered projects and thought I would love to try that but you weren’t sure where to start? Well here is a quick altered decoration and altering guide. 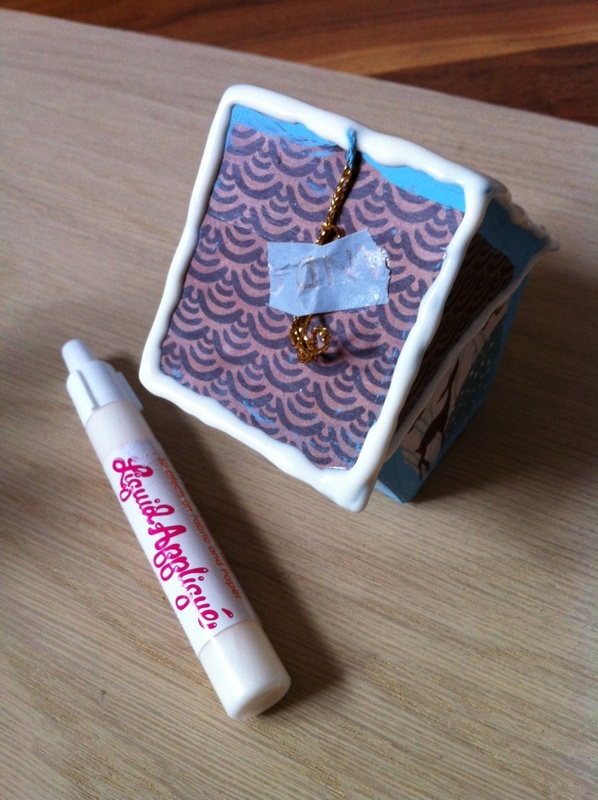 Paint/ ink/ glitter glues/ liquid appliqué …..whatever you have really. 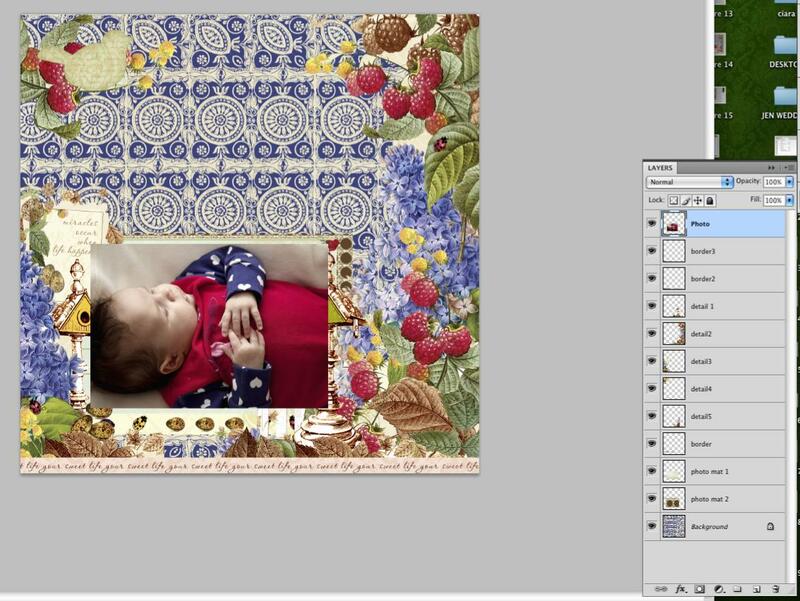 Ok, so step one for me always is to pick out the papers I want to use, I will then paper the areas I want to cover. So, go in with your ruler and measure the areas you are covering. 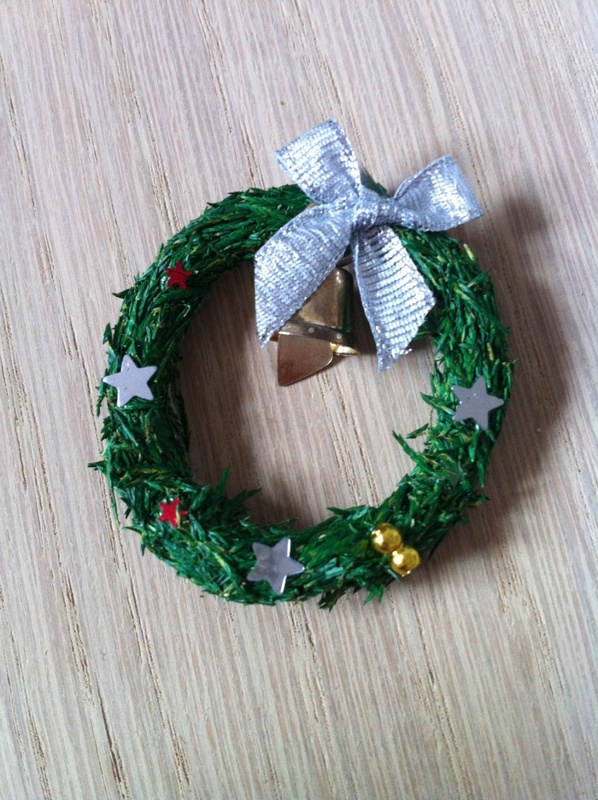 It’s very simple with something small like this decoration. 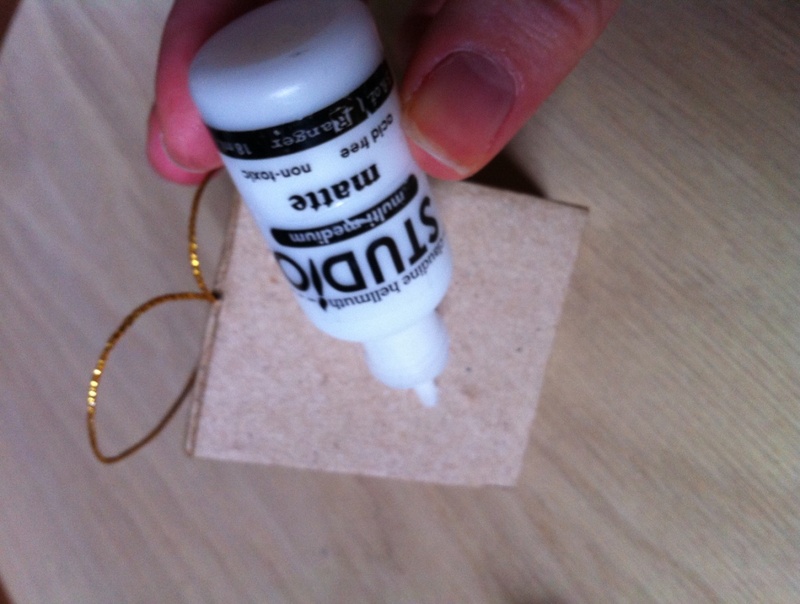 Cut out your patterned paper to fit the area and glue them on using your favourite wet glue. Today I used Claudine Hellmuth’s matte multi medium. 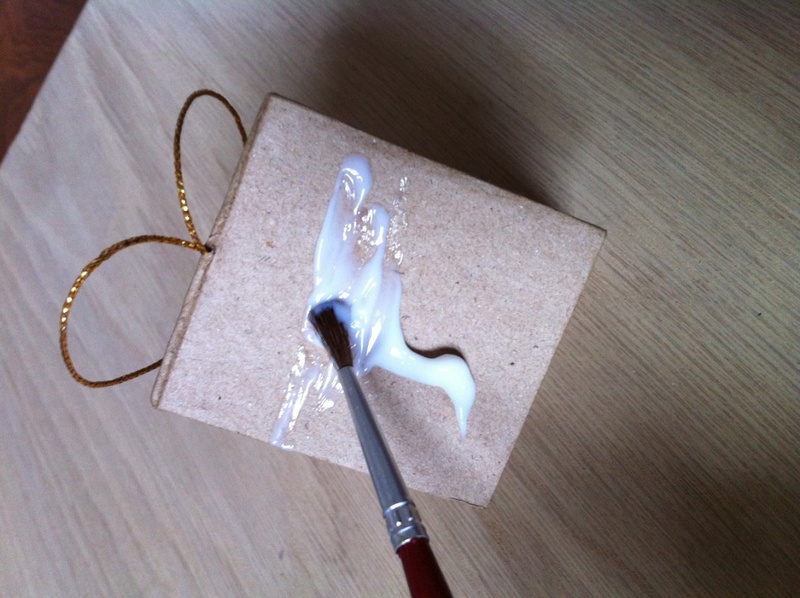 Use a paint brush to spread the glue and stick on your papers. 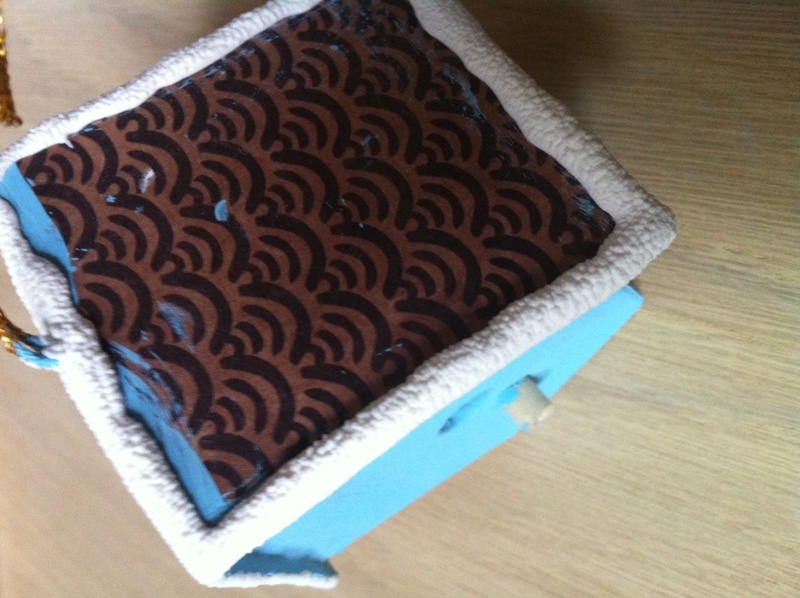 I also added a thin layer of glue over the papers to seal them. 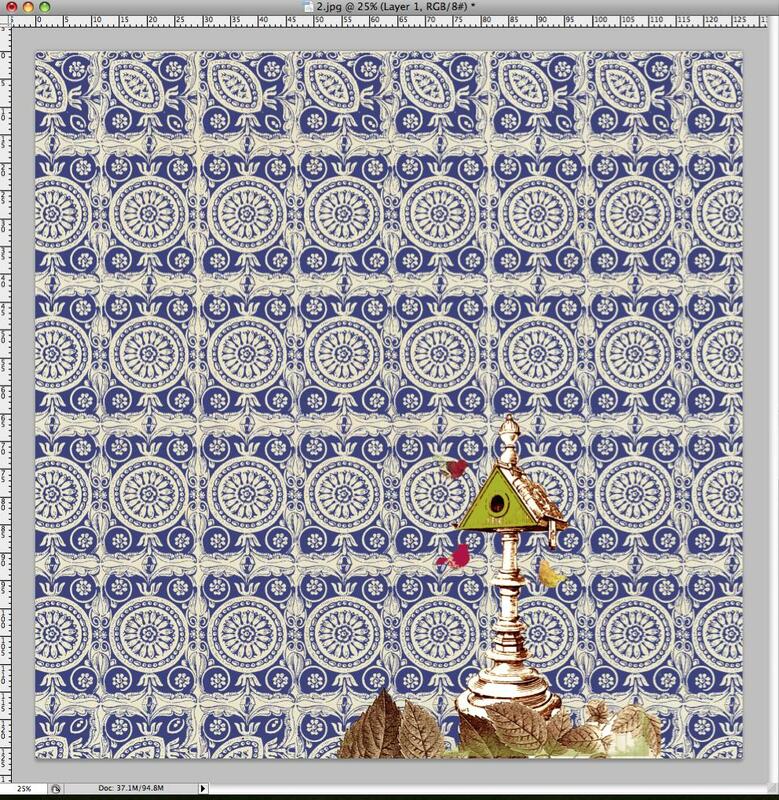 This is what my decoration looks like now with the papered areas. 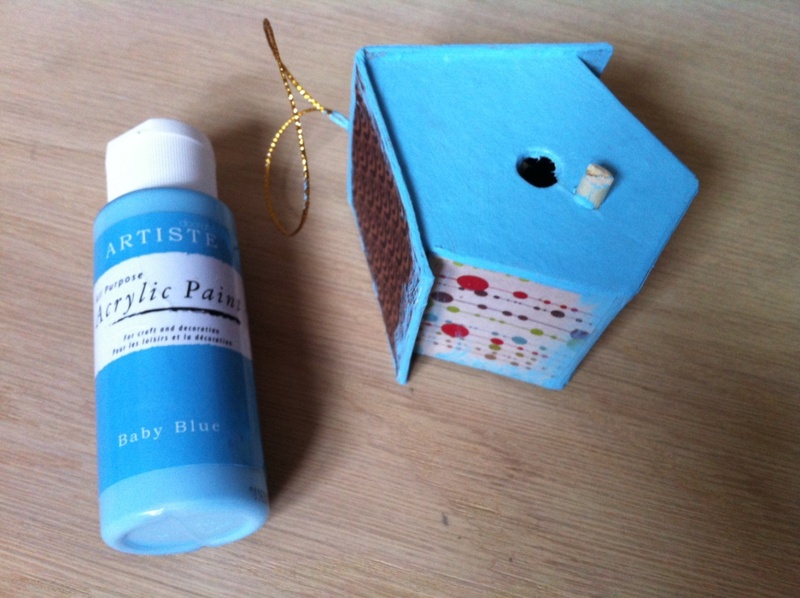 I decide to use blue Christmassy papers so I next went in with my matching blue paint and painted the remaining areas and also the edges of the whole piece. 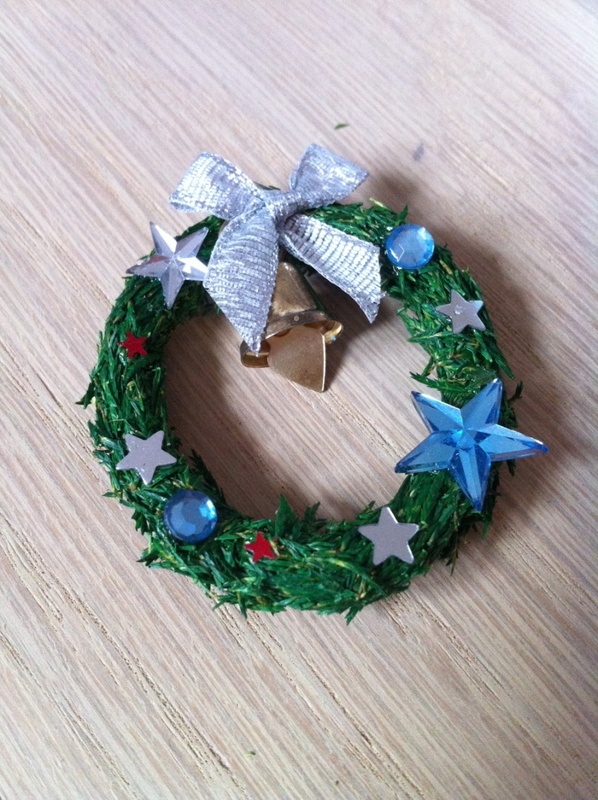 Now I had a root throught my embellishments for something small to add to the front and found this little wreath topper. 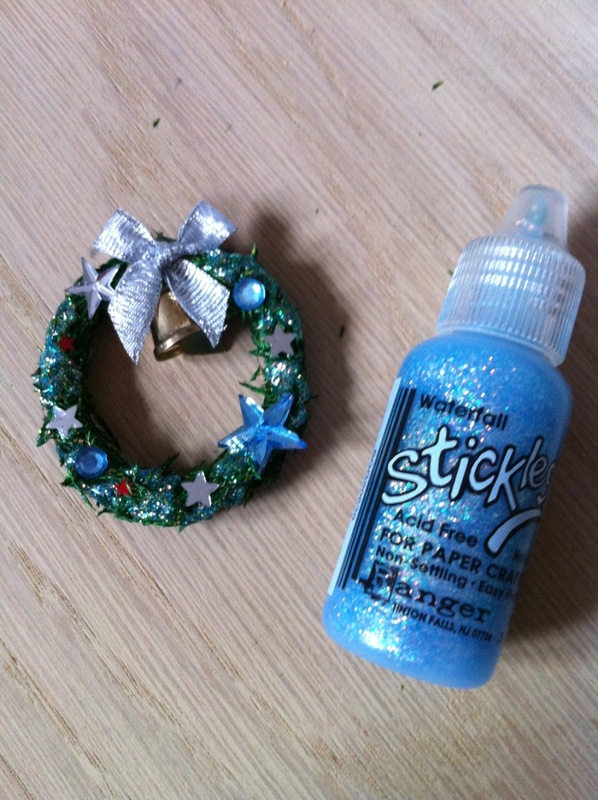 The colours weren’t exactly what I wanted but no worries anything can be altered so let’s alter the little wreath-I took off the gold beads and added some silver and blue bling stars! Already looking better…. I felt it was still a bit green so I went in with some ‘Waterfall’ stickles over the green areas. 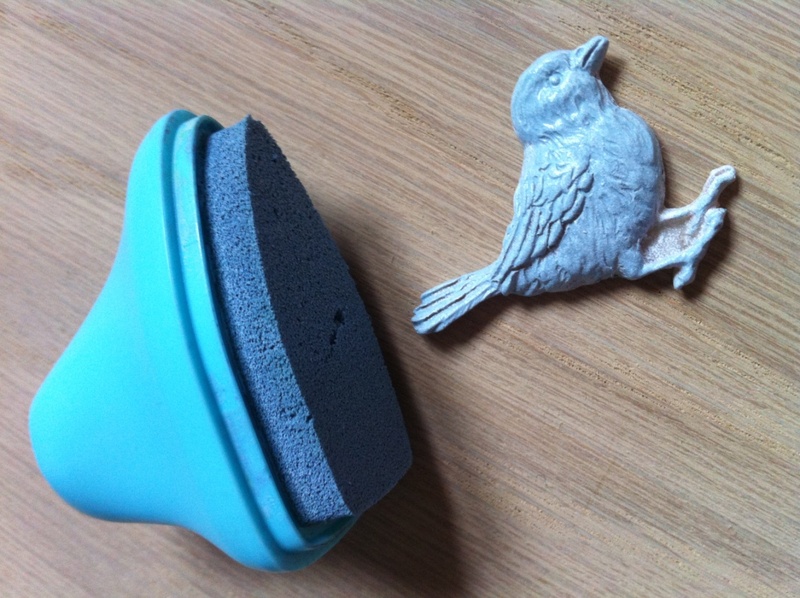 Because this is a little birdie house-it needs a little birdie-back for a stash root and I found this little Prima resin birdie, shall we alter him? Ok then… go in with your ink pad. 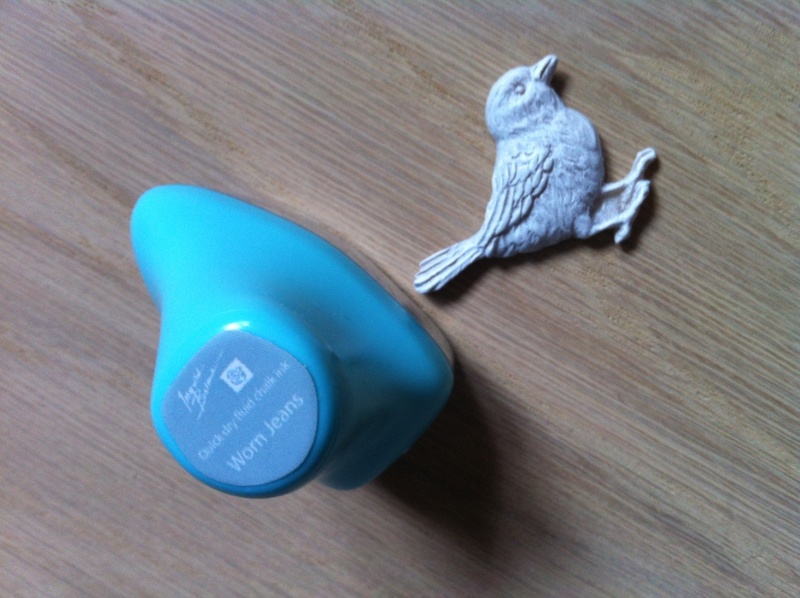 Here I used a blue Prima chalk pad and just lightly swiped it over the little birdie. 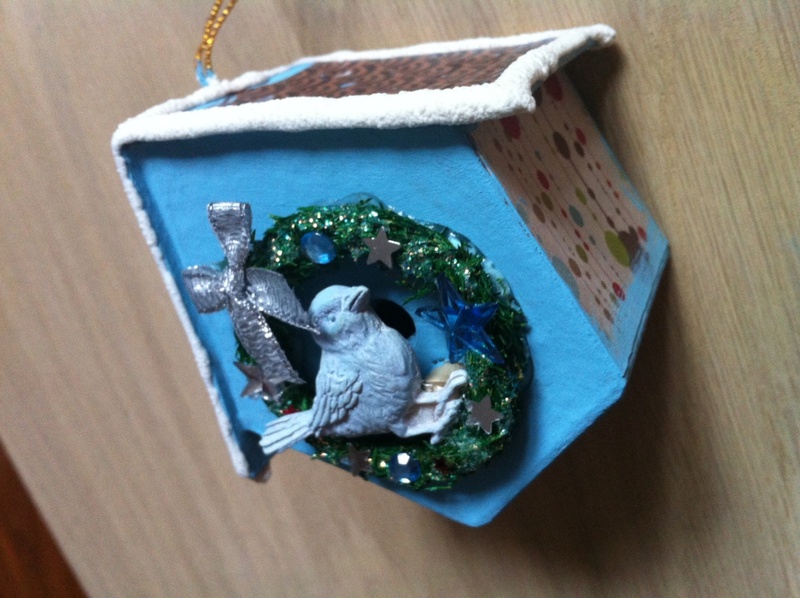 Now just attach your wreath using a heat gun and your birdie using some glossy accents and there you have it a little altered project. Once you start altering you won’t want to stop, its so much fun. I hope you enjoyed this project. 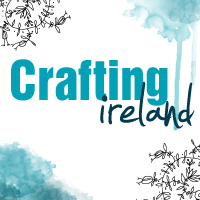 Why not try a little altered project and share with us on the Crafting Ireland Facebook page… Just go for it!!! 12 Days of Christmas – Day 5!! Today we will show you a tutorial on how to create a custom cutting file for your electronic cutting machine. Open Inkscape. You can work on the default canvas. 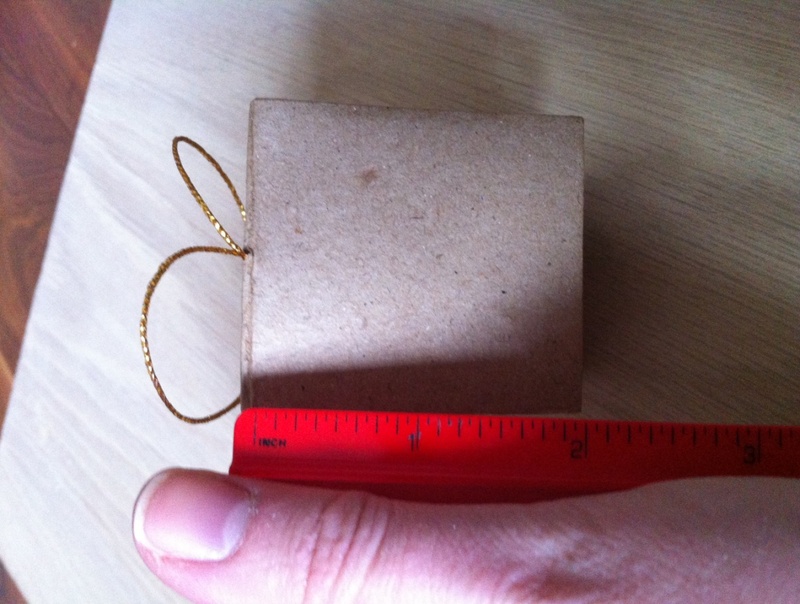 Draw a 18 cm wide and 8 cm high rectangle. If you want the edge rounder use Rx and Ry – I added 0.310 cm, it is just a nice rounded corner. 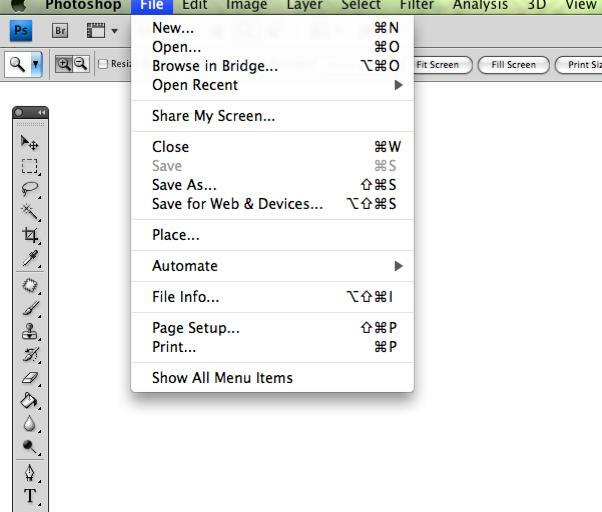 Open the Text window and set the font you want to use and the size as default. I used Arial Black and size 48. Write the text you want to add. Type each word separately. You need to change the letter from filled to strokes. 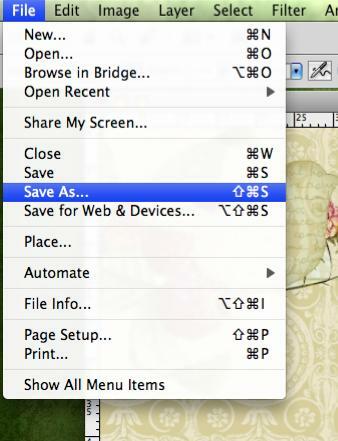 Save as a Plain SVG file. 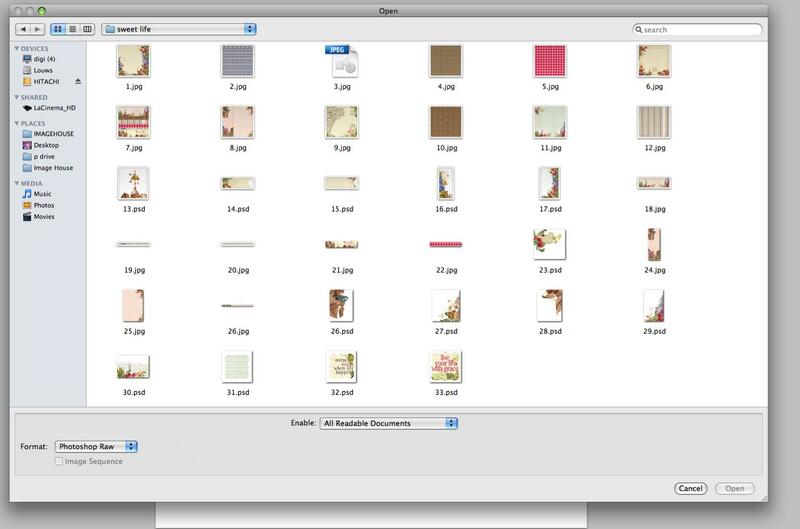 Use this file with your electronic cutting machine. 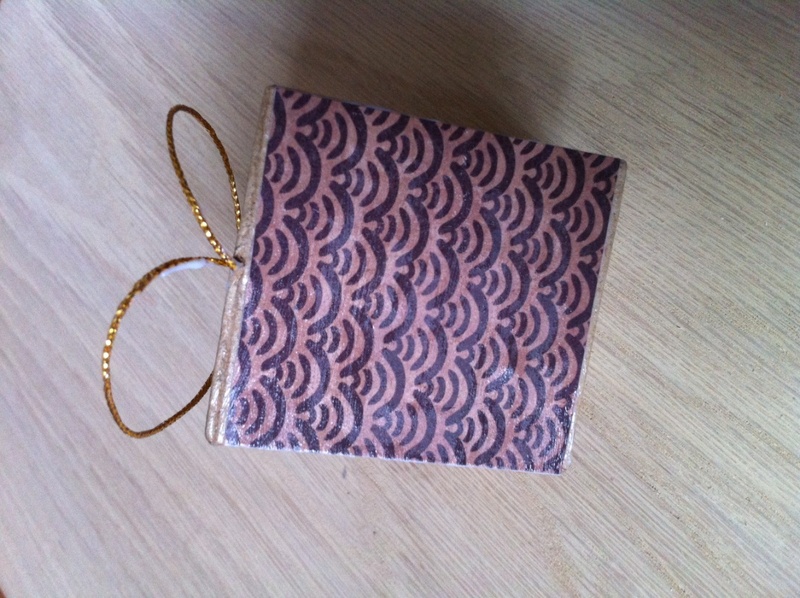 After cutting a tag you can decorate it with some washi tape and add to a present with some ribbon. I hope you like this very easy tutorial and will try it this Christmas. 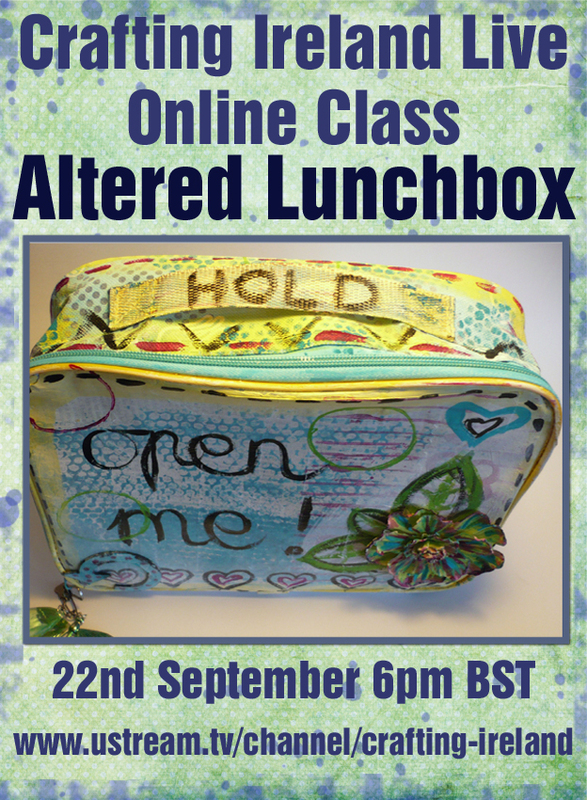 Just a quick reminder about our Altered Lunchbox Online Class on 22nd September on our Ustream Channel. *1 lunchbox ( I am going to use a soft one, but you can get a hard one too) I get mine in the local toyshop. 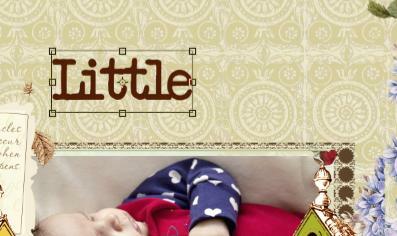 It will be a messy crafty class so prepare craft sheet, apron and a cloth to clean your hands and desk. Share it with all your crafty friend, we will have a great evening! 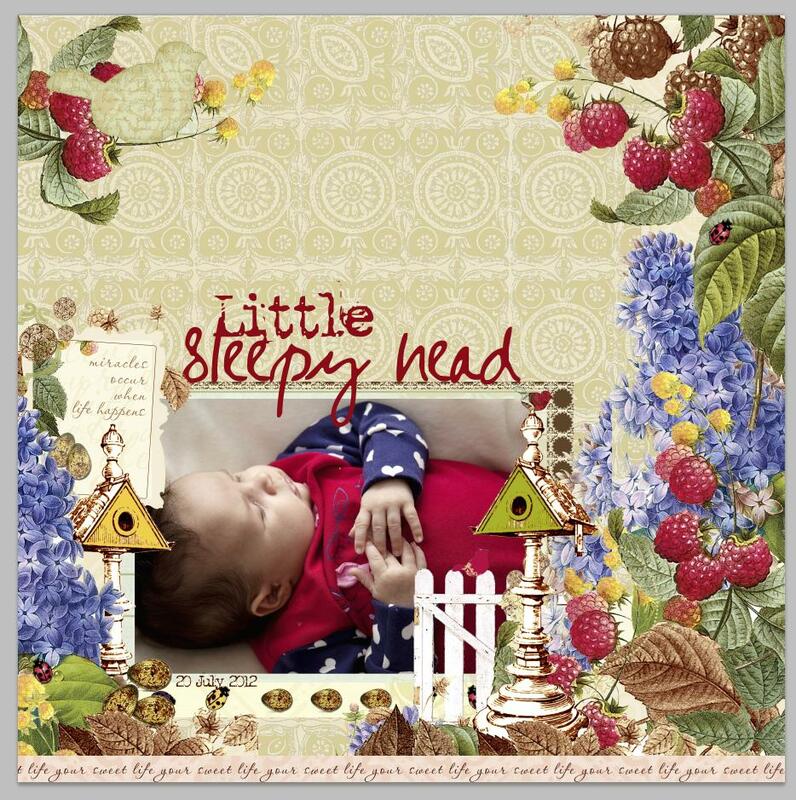 Today Eve is going to show us a great tutorial on a wonderful digital layout. 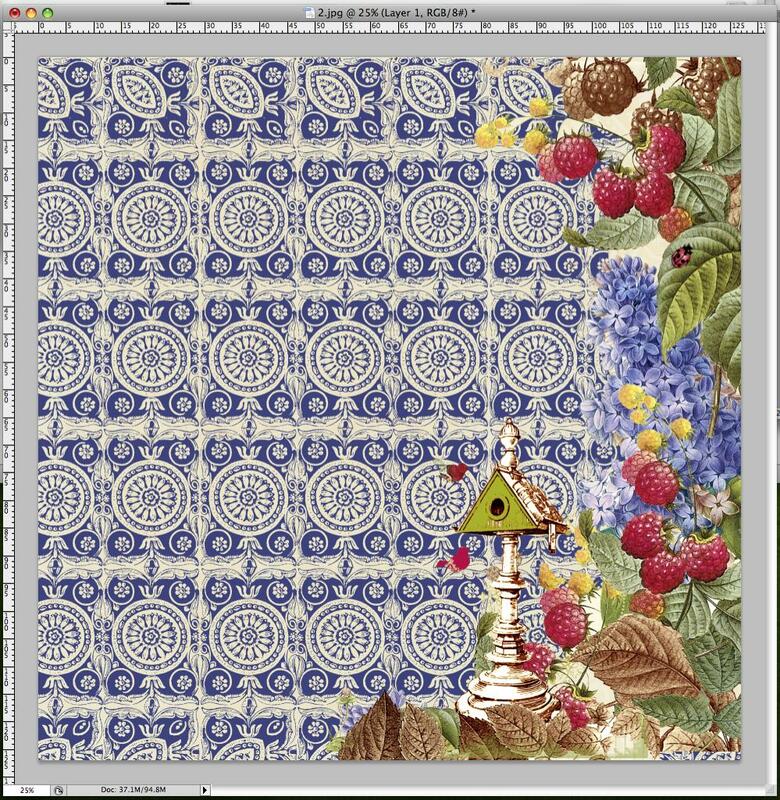 Make sure your page is the right size that you would like your project to be, I selected a 8”x8” as that is the size the album will be printed in. 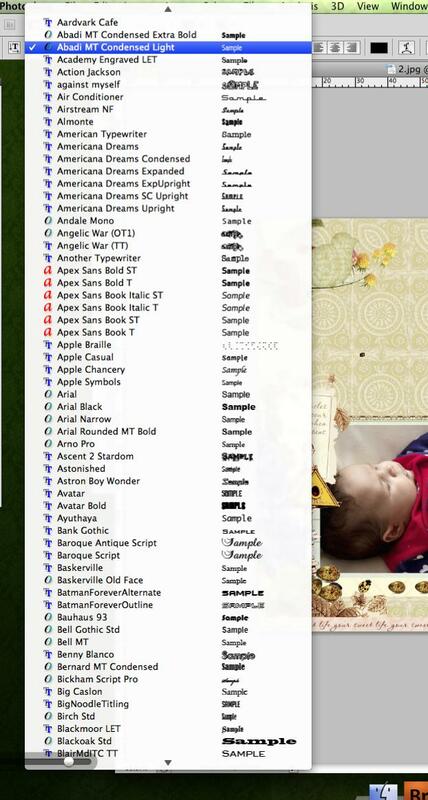 I always arange all the open files so I can see them all and deside where I would like to begin. 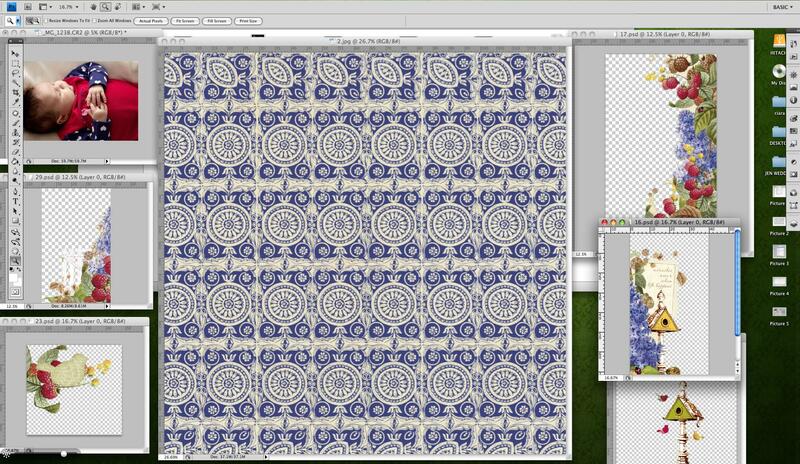 I selected the blue pattern as my base page and will drag and drop all the other elements one by one on there. 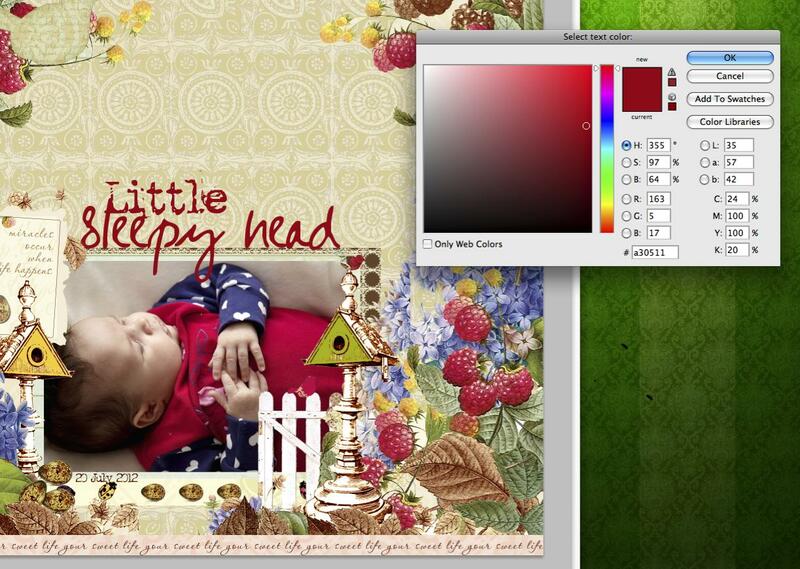 The next step is to place your image in your layout. When you pull your image onto your layout, be sure that the image layer is under the other Elements on your page that way it blends in nicely. 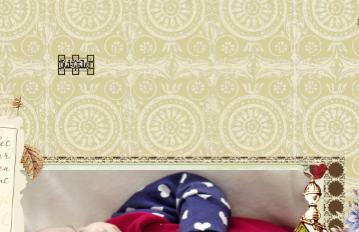 Looking at my layout the Blue background is just to dominating, so to change or lighten it a bit I did the following. Change the opacity at the top of the layer bar to lighten and that create a effect that you can still see the bottom layer. On your side bar select the ‘T’ icon, that is for your text, click on you project and you can write your heading or journal a bit. To change the font, you select all your text and go to the top bar and change to the desired font. To change the Font size you can select all your text and change it at the top bar. 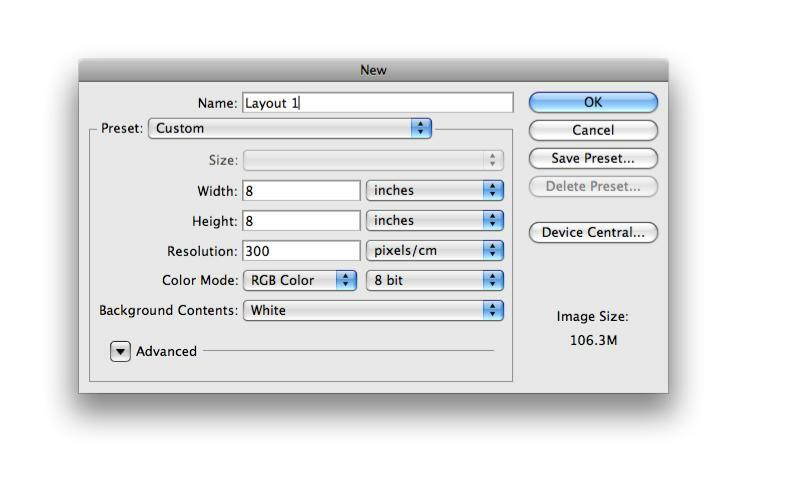 OR you can change it manually by pressing ‘CTL T’ this will selt your text to ‘free transform’ I prefer this way so I can control the size of the text. You then just pull from the side to the desired size. 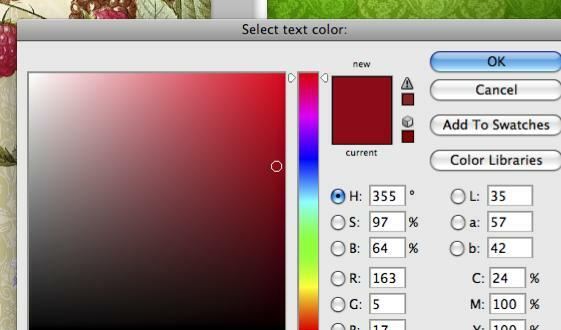 If you would like a colour that would suite perfect with your project you can personally select a colour from your project by clicking on the colour block in your top tool bar, a colour menu will open and you can pick your colour with the colour picker. Save your project under File and Save as, this way you can rename your file to the desired name. There you go as easy as that. 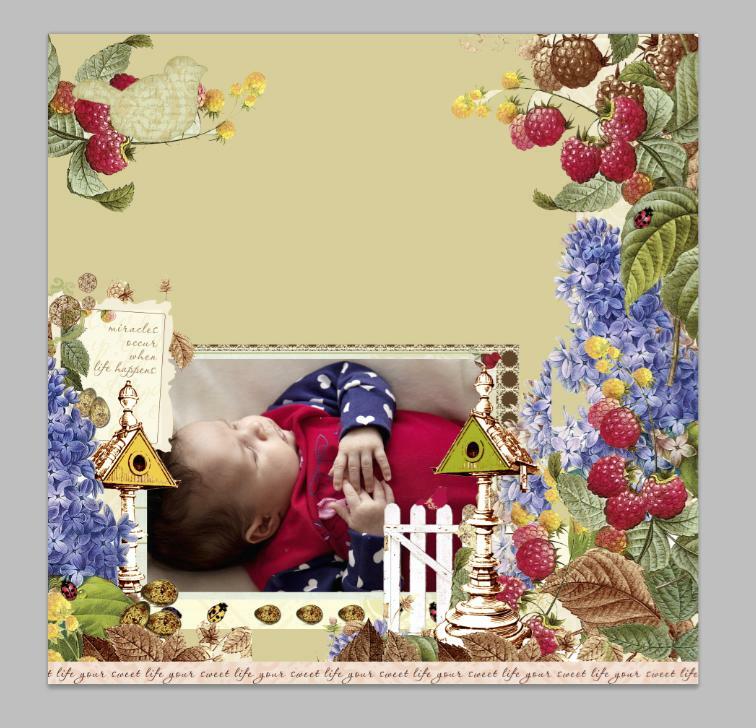 It is a fantastic layout, I hope you liked it too.